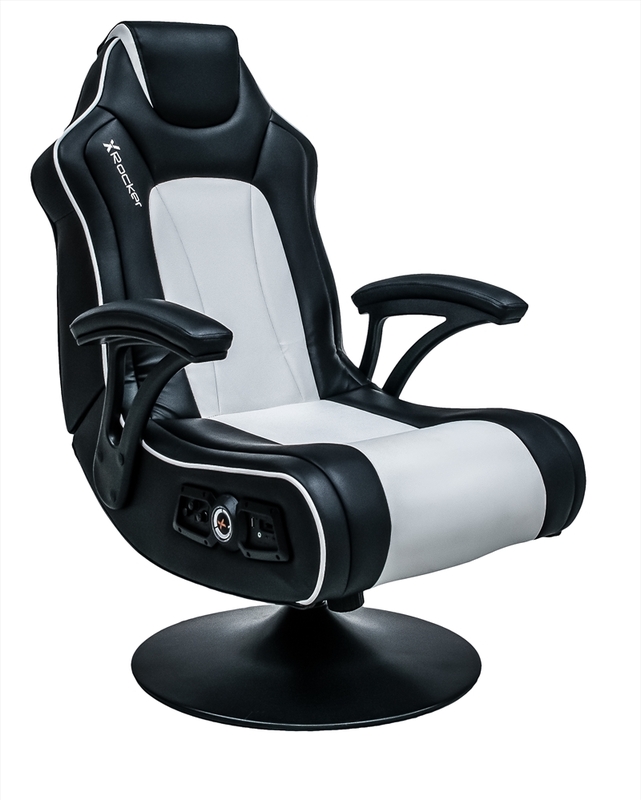 The X Rocker Torque a versatile and attractive gaming chair with a 2.1 audio system, dedicated vibration motors and deeply padded arm rests that offer superior comfort. The Torque is also equipped with our new dual Wireless/ Bluetooth control panel and wireless DAC transmitter that is designed to work with all of your favorite games consoles and audio devices. This is finished with a striking black and white design and cushioning for those long game-play sessions.